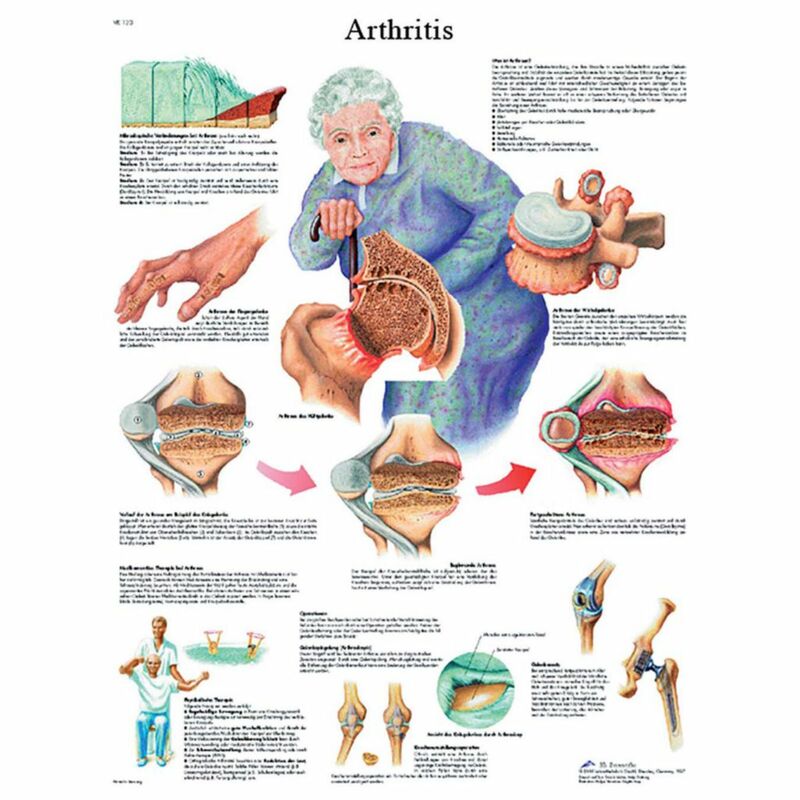 The chart shows what arthritis is, effects, treatments, and arthritis therapy. 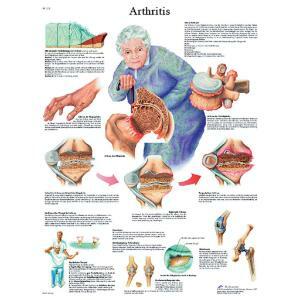 This anatomical chart is thickly laminated. is printed on premium glossy (200 g) UV resistant paper and can be written on and wiped off with non permanent markers. The 75 micron lamination ensures the chart does not curl up at the edges and the UV treatment prevents the chart from fading over time.